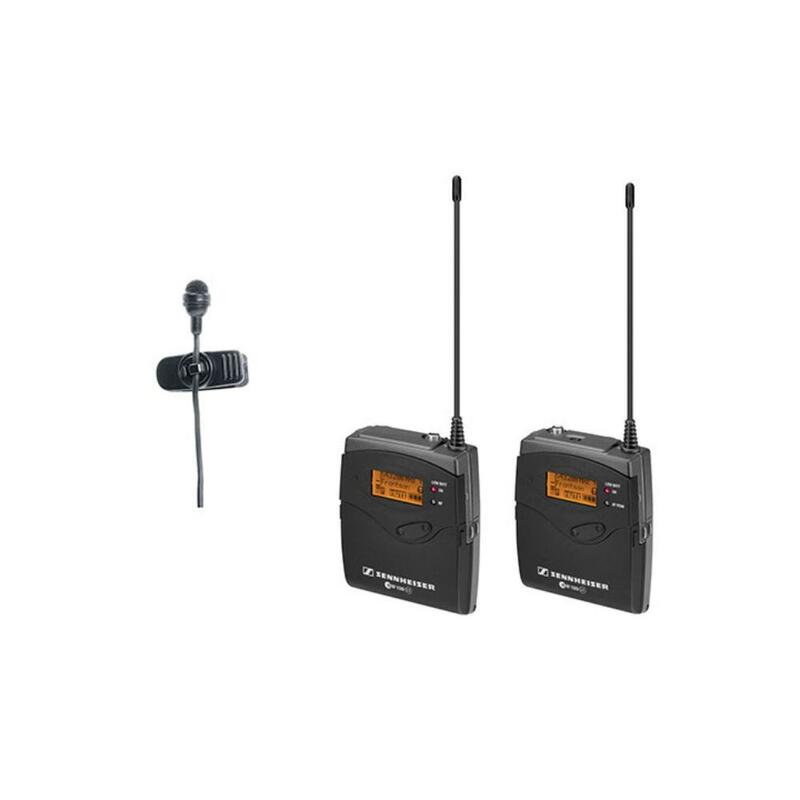 The Sennheiser EW 122P G3 Wireless Lavalier Mic Pack (516-558 MHz) is a camera-mountable system that includes a UHF diversity receiver, bodypack transmitter, and ME4 lavalier microphone. It is designed for portable wireless operation, such as video and field recording applications. The SK100 G3 bodypack transmitter and EK100 G3 receiver synchronize channel and frequency at the touch of a button. The receiver includes the CA2 shoe mount adapter for easy installation. A backlit display allows for easy operation under dimly-lit conditions and its user-friendly menu makes operation quick and smooth. The EW 122P G3 is ideal for video shoots of all kinds, ENG applications, and field recording. • (4) AA batteries are required to power these lavs (2 for the transmitter and 2 for the receiver) and are not included in the rental.